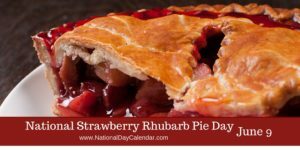 Celebrate National Strawberry Rhubarb Pie Day with LJB Farms! We have you covered with yummy Gizditch pies. Read full article at the below link. Come see us and do your part to participate in this under-celebrated tasty pie flavor. Just like Grandma used to make.